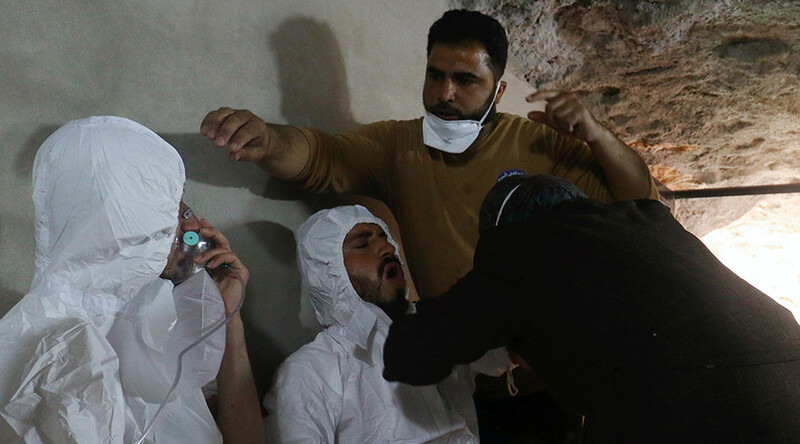 The Syrian government was quickly blamed by the West after the opposition-controlled Idlib region saw a chemical attack that reportedly killed dozens of civilians. However, a UK security analyst told RT the rebels were the only force that benefited from the incident. “The people who have benefited from this kind of attack are the rebels themselves, because they have gained a major political advantage at a time when they are struggling both strategically and geopolitically,” Charles Shoebridge, a British security analyst and counterterrorism expert, told RT. The “Brussels Conference on Supporting the Future of Syria and the Region,” co-chaired by the UN and the governments of Germany, Kuwait, Norway, Qatar and the United Kingdom, is to be held in Brussels on April 4 and 5. It will focus on “boosting support for a lasting political resolution to the Syrian conflict through an inclusive and Syrian-led political transition process under the UN auspices,” according to the European Commission’s official website. Shoebridge said that there is a history of similar incidents occurring in Syria on the eve of some major international events in the past. Ammar Waqqaf, a Middle East expert, also believes that “whenever there is a sort of international conference on Syria we suddenly have these chemical attacks.” Waqqaf told RT that there is no solid evidence proving that the Syrian Army was behind the most recent attack in Khan Sheikhoun. He added that the militants themselves have repeatedly carried out chemical attacks and are quite capable of producing or purchasing chemical agents. The Russian Defense Ministry said Tuesday night that Syrian jets have destroyed a rebel ammunition warehouse near Khan Sheikhoun. The ministry’s spokesman, Major-General Igor Konashenkov, said they had verified and objective information that the munitions produced and stored at the warehouse contained chemical payloads and were being sent to Iraq, where they were repeatedly used by militants.